As the school year begins to dwindle down, football is in the air. One of the more exciting parts of college football is the sense of wonder surrounding a batch of new prospects. 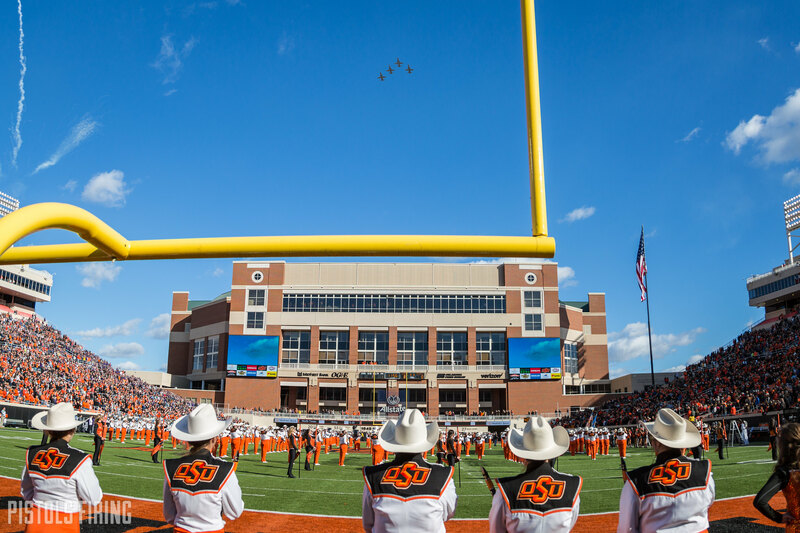 After a down season, like Oklahoma State had in 2018, that sense can be greater than normal, so we thought we’d take a look at five freshmen who could contribute early in 2019. The freshman most likely to play early for OSU is 29. The Australian is the only punter listed on Oklahoma State’s spring roster. Kickoff specialist Jake McClure has also punted in the past, but a few weeks ago, OSU coach Mike Gundy said that Hutton was teaching McClure a few things. The mystique of a 29-year-old coming from Australia makes Hutton one of the more hyped punting prospects in OSU history. Punting isn’t usually an exciting aspect of football, but Gundy said it was fun for him to watch Hutton let it rip in practice. In his early spring media meetings, Gundy has said it’s important that OSU develops solid backup corners this season to help A.J. Green and Rodarius Williams out. Harper, the younger brother of OSU linebacker Devin Harper, has apparently made his fair share of plays this spring despite having just finished his senior season of high school football a few months ago. Harper enrolling early seems to be quite beneficial to this point if the head man is already noticing him. With six players departing from last season’s defensive front, there is plenty of opportunity on OSU’s defensive line in 2019. Jayden Jernigan, out of Allen, Texas, is the lone early enrollee on the defensive line, meaning his earlier acclimation to the college game could pay off. He is still probably on the outside looking in, as though the group lacks experience, there are 10 defensive tackles on the spring roster. Jernigan will have to compete with guys like Colorado transfer Israel Antwine, Cameron Murray, Samuela Tuihalamaka and Sione Asi for snaps. But, he is already on campus, so that’s the first step. As mentioned above, there is a void that needs to be filled on OSU’s defensive line. Unlike with Jernigan, Trace Ford’s position group isn’t nearly as crowded, though, as there are only four defensive ends on OSU’s spring roster. Sure, some of those defensive tackles could also play on the edge, but it’s a less crowded spot to be in nonetheless. Ford isn’t on campus yet, though, so he’ll have a good chunk to learn in a smaller time to provide some depth. Deondrick Glass is another freshman who isn’t on campus yet, but he isn’t lacking in confidence. When Glass committed to OSU, he said one of his goals was to win the Heisman Trophy as a freshman. That’s going to be quite the task with Chuba Hubbard sitting atop OSU’s depth chart, but Glass could still compete for some reps with OSU’s backfield. LD Brown, Jahmyl Jeter and Dezmon Jackson are guys Glass will have to compete with when he gets to campus. Brown brings experience with him having gotten a chunk of carries the past two seasons. Jeter will be a redshirt freshman in 2019, but his year of experience in practice is sure to help, and though Jackson doesn’t have experience at OSU, he did run for 1,216 yards and 13 touchdowns last season at the junior college level. Jackson is also already on campus practicing with the team. It’s highly unlikely Glass will walk in immediately be put with the second team, but if his work ethic matches that of his confidence, he could still find his way on the field.